What is the Eurovision Song Contest all about? Apparently it is only a song contest with a nationalist side, but I would like to tell you how this worked for me. I am a Spanish guy with a university level education. Until May 2013 my knowledge about Malta was reduced: a small island south of Italy and one of the countries members of the European Union. Little else. Yes, I also knew that its capital is Valletta. Then on 16th May 2013 I was reading some paperwork in front of my TV set at home. It was showing the second night semi‐final of the Eurovision Song Contest. At some point a song called my attention and I put my eyes on the screen: I saw a smiling young guy singing a rather cute (and fresh) song. When it ended I found out that the singer was called Gianluca, the song “Tomorrow”, they were representing Malta… and I also realised that I was smiling and feeling some inner joy difficult to describe. Technically I think that this must be something similar to “cognitive empathy”. I became interested in the singer, with his warm voice, I wanted to hear more songs by him: Amazon, YouTube, Twitter, Facebook, Google… one thing brought another and, on the way, I also unveiled Malta. One of the first things that I learnt was that Gianluca was a medical doctor (it was commented in all the interviews) and then my first piece of information about the country was this: alright, maybe in Malta all singers need a second job to survive. However I am an optimistic person and I changed this thought by this one: blessed the country where its medical doctors sing. Today I have two copies of the first CD by Gianluca, one in my car, the other at home, and most of my friends got that CD too as a last year Christmas present; I have known about Samaria and Dorothy, great voices too, and the rest of the musical Bezzina family; I have discovered part of the musical landscape of the island: Ira Losco, Joseph Calleja, Funk Initiative, Firelight, Wayne William, Amber, L'Aħwa… to mention but a few, and the sweet blend of “Xemx”; I have bought several books about Malta and its extraordinary language (I even have a course of Maltese and an English-Maltese dictionary, but please do not check me); plenty of bookmarks on Maltese literature and classical songs lie in my navigator; I have learnt about the country newspapers and TV channels and, as a consequence, about the people of Malta and its sunburnt and luminous islands. For me Malta always will be Gianluca and the Bezzina's. I cannot think of better image and heart for a country that wishes to be loved. Now you answer the question I posed at the beginning: what the Eurovision Song Contest is about? And then, did Gianluca and his group do their job at the Eurovision Song Contest 2013 in Malmö? Was it all about the singing… only? We urge you to stay tuned to escflashmalta.com even through Facebook and Twitter for all the latest news about the 2015 Eurovision Song Contest and the local music scene. escflashmalta.com has always represented the best interests of the local music industry, by bringing the public the latest news from songwriters, producers, musicians and artists who have a local heritage whilst also supporting the nations' participation in the Eurovision Song Contest. It has become customary for the portal to organise features in relation to the Malta Eurovision Song Contest and therefore, for the third consecutive year, the escflashmalta.com awards were given, in partnership with ONE Radio 92.7 FM. Clint on ONE, a flagship programme hosted on Saturday morning by Clint Bajada, the individual who has made the local music scene the centre of his radio strategy, played host to the awards this morning with Marc Calleja Bayliss, Editor-In-Chief of escflashmalta.com appearing on behalf of the portal to hand out the awards and also answer any related questions. The three (3) coveted awards were all given their prime attention, noting that the professional members of the music industry were assigned the preview videos of the songs, making their selection as if being judges of the actual competition, the public who had the right to select only one (1) song per IP Address, and last but not least, members of the media who had to select the best five (5) and the worst two (2) in rank order. Basically, it is now time to reveal the full results of all three (3) awards, with the Public Award and Media Award having been presented to Trevor Fenech, representative of Daniel Testa whose One Last Ride written by Stephen Rudden and Lawrence Peter Bridge actually finished in third place during the Malta Eurovision Song Contest, and the Critics Award going to Davinia and her entry Brand New Day written by Matt Mercieca to the music of Elton Zarb, who in turn was present to accept the award. This was the first time ever in the history of the escflashmalta.com awards that one (1) artist managed to take home two (2) awards, meaning that there was more of consensus especially when keeping in mind that it was also a track which finished in the top three (3) come the end of the Malta Eurovision Song Contest. Media Award; we are proud to have been in contact with almost forty (40) different individuals, each representing a media outlet and each will be noted below. Their aim was simple, to select the most notable five (5) entries and the worst two (2) in rank order. The final tally which you will note below comprises of votes from; Luke Borg (esctoday.com), Eric Nocito (ESC Reporter), Helen C Wood (Radio International), Garrett Mulhall (Eurovision Ireland), Aija Medinika (LTV), Frank Zammit (Stargate Studios), Theofilos Toronidis (ESC Daily), Knut-Oyvind Hagen (NRK), Clint Bajada (ONE Radio 92.7), Ramona Depares (Times of Malta), Samantha Ross (ESC Insight), Tobias Larsson (YLE), Michael Bugeja (Times of Malta), Nathan D (89.7 Bay), Joseph Zammit (escflashmalta.com), Media Team (Insite), Ian Fowell (eurovisionary), Toni Sant (MMI), Patrick Strouk (escflashmalta.com), Alasdair Rendall (escflashmalta.com), Keith Mills (AKOE), David Debono (RTK Radio), Wayne Aquilina (ONE Radio 92.7), Joe Tanti (ONE Radio 92.7), Edward Montebello (eurovisionary), Ian Scerri (escflashmalta.com), Gabriel Ellul (Media.Link Communications), Darragh Reck (RTE), Ruth Frendo (Gwida), Valentina Rossi (V Squared), Belen Garcia (escplus), Liam Clark (escXtra), Deo Grech (ONE Radio 92.7), Alexandru Busa (escflashmalta.com), Emma Backfish (escXtra), Jon Lukas (Channel Radio) and Juergen Boernig (Radio International). Public Award; due to problems with the server capacity and the award, we had been given the ultimatum to close the poll early, but nevertheless, it was important to note that despite this, almost three thousand (3000) individual votes were submitted. It was a different story to last year when Kevin Borg and Chris Grech had been harshly campaigning against one another through social media, with the latter coming out as the victor. The full results as noted below depict a totally different story with a relatively outright winner and an even more representative top three (3). Critic Award; the voting of five (5) professional individuals from the international music industry. John Scott, Sharon Vaughn, Martin Isherwood, Stano Simor and Greig Watts have been commissioned to review the competing entries, mark them out of ten (10) and published as a percentage online and finally to vote in Eurovision format and send in their personal scores. The chosen individuals all have multitudes of experience in the industry with John Scott working with the likes of Nicole Scherzinger and Little Mix; Stano Simor co-writing for some of the most familiar faces in Slovakia and the Czech Republic whilst also being the manager of Mista, a former Slovakian selection runner-up; Martin Isherwood being one of the Headmasters at the Liverpool Istitute for Performing Arts; Sharon Vaughn co-writing for Delta Goodrem, Agnes, The Wanted and Jedward and Greig Watts who in turn is an accomplished songwriter/producer and has worked with The Overtones, Natalia and Kate Ryan amongst others. At this stage, we would like to thank all of the people involved in making the escflashmalta.com awards presented by ONE Radio 92.7 a success, including none other than Mediterranean Ceramics who designed three (3) beautiful trophies, each owing to the identity and brand that this portal has built in the past five (5) years since it's inception. Collaborating with Clint Bajada and ONE Radio 92.7 was also a pleasure and we hope that this fruitful collaboration continues in the years to come. We urge you to stay tuned to escflashmalta.com for all of the latest news and more exclusive features as the days, months and years go by. Good Evening! Welcome to the LIVE REPORT of the final of this years’ edition of the Malta Eurovision Song Contest being staged in Ta’ Qali, an artisan town where the Malta Fairs and Conventions Centre is found, a couple of miles away from any form of civilization. Our colleagues in Malta have reported that the rehearsals have been going extremely well and that the Public Broadcasting Services is ready to host a show of the highest quality this evening with our three (3) illustrious hosts and a parade of local and foreign guests. Ira Losco and Gianluca Bezzina; representatives of Malta at the Eurovision Song Contest in 2002 and 2013 respectively along with Moira Delia, spokesperson on behalf of the Mediterranean country in the 2006 edition of the Eurovision Song Contest have been selected to coordinate the show, one which will include fourteen (14) acts as selected by the professional members of the local and foreign jury as well as the public vote during the semi-final yesterday evening. It was a relative shock to see two (2) former representatives; Miriam Christine and Fabrizio Faniello fall at the first hurdle especially following their stunning performances. How could tonight’s final not start with Maltese latest pride, the great Gaia Gauci who won the recent Junior Eurovision that was held in Kyiv, Ukraine. The little princess is joined by a choir of La Voix Academy and the performance is really amazing! We are definately set for an exciting and great evening! The presenters the great Ira Losco and Gianlucca Bezzina are on stage now and making an introduction and explaning about the show. Moira the third presenter is in the audience and looks also stunning. Moira is congratulating Gaia. The members of the jury are also introduced. They are Reuben Zammitt head of the jury, Olga Salamahka head of delegation for Belarus, Nicola Caligore head of delegation for Italy, Ekaterina Orlova from RTR (Russia) and Peter Cossai, Head of Sport Section of PBS. And now we are off for the show! Christabelle is opening tonight’s final with this uptemo song from Magnus Kaxe and lyrics from Gerard James Borg. 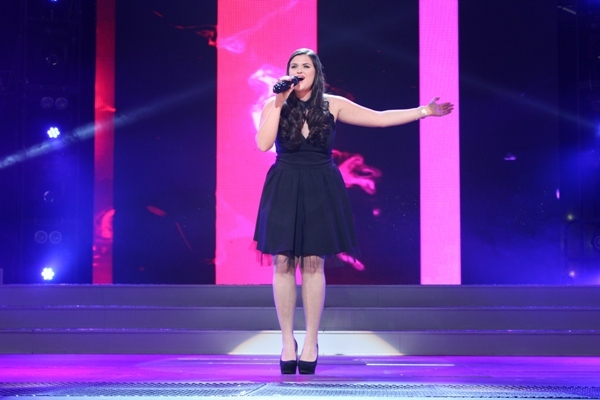 Again Christabelle gives a solid performance so it’s a good opener of tonight’s final. Welldone to Christabelle and the team! If this is a contender for the victory i’m not so sure though but Christabelle did very good! Having Wayne on stage is always a certainty of a strong performance. Just like last night Wayne is very confident with his track Some kind of wonderful. A great artist which would surely make Malta proud on Eurovision stage! The question though is this is the track that will lead him to Copenhagen. Could be but that will definately depend on the other performances tonight. And honesty obliges me to say he had better songs in the past. But Prosit Wayne! Davinia was to me one of the surprise qualifiers to the finals. The song is obviously still as cheerful as last night and the singer seems to enjoy her time on stage. Unfortunately i cannot change my opinion that the song is not really going anywhere so i wouldnt go for it as the song for Copenhagen, sorry. But welldone overall for the performance! Ryan Paul Abela is next on stage with a very cheerfull song. I like the enthousiasm of this very sympathic artist which gives again a lot of credits and gave him likely also the ticket to the final thanks to the audience watching at home. I don’t see this either in Denmark but my compliments go to the artist and his team. It’s time for Franklin Calleja! He touched me a lot with his last nights performance. And again he gives an extremely performance. What a lot of respect i have for this still very young singer The stage act is simple but very effective and you see a singer who gives his all! The guy has such a great career ahead and i wouldnt be surprised if he would be winning the ticket to Eurovision tonight. Hear the applause during the performance, the people love this guy! Franklin is definately one of the topfavourites. Prosit Franklin and the team, i would be proud for my maltese friend to see you in Denmark! And we are going to the next favourite. 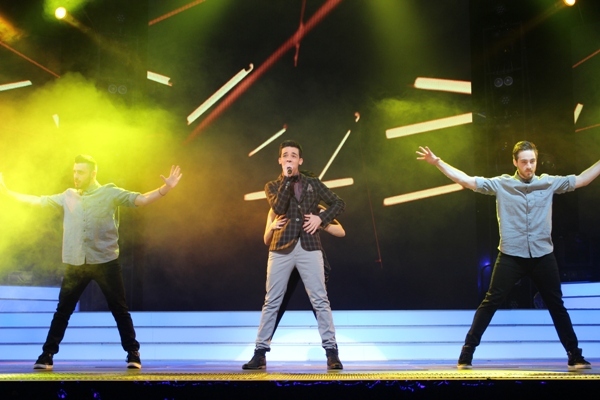 Daniel Testa already represented Malta at Eurovision in the Junior edition with a great placing. His performance is definately stronger then yesterday so i dont rule him out as one of the main contenders for the winning ticket. Will he make? Let’s see later on but the public seem to love this one too!. Before we go on to the next song Ira and Gianlucca are threating us on a great intermezzo. What a clever and good show of PBS to have those two great artists as presenters! Funny enough the next artist also represented malta at Junior Eurovision. Sophie is giving a solid performance but like i said yesterday i’m not sure if this song would be the best choice for Eurovision. However all credits and congratulations for the performance and how can you not like such a nice and cheerfull girl! 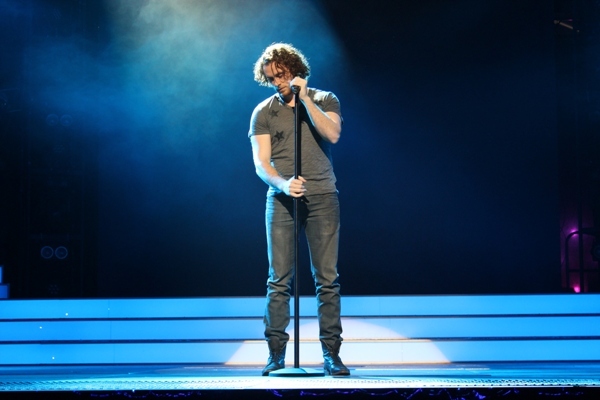 Chris is on stage and proving again he’s a very powerfull singer. The guy definately knows how to sing and has a certain charisma that i can imagine women are attracted too. In terms for Eurovision in Denmark i believe the song might just miss that thing to win for the top places later on. But well done Chris! Deborah C is back in the finals for the third year in a row and it shows that this singer is developping in a very good way. Hard work and singing is clearly paying off! Deborah looks again great on stage. This very happy feeling song is making me smile with Deborah's enthousiasm! Well done Deborah and crossing fingers for the best possible result! Another hot favourite, especially amongst the European Eurofans is Jessica The performance of Hypnotica is again very good with a very interesting choreography. This was surely the work of Gerard James Borg who is always very creative on this, so all my deep compliments on Ger! Should Hypnotica make it to Denmark it will surely be a fan favourite, but we have to think also on the older public and professional juries. Will they taste it as much as the fans? That is to be seen. But well done Jessica! And now we go to the angelic voice of Pamela Bezzina! Like yesterday im attached to the screen from the first till last minute and enjoying every second of her performance. What a voice and what great stage appearance, very simply but effective! I can see this just doing copy past to Copenhagen! I am so sure this will fight till the end to get that ticket. Will Pamela finally make it as leadsinger on Eurovision stage? I would be happy for her and Malta would head for a top position in Copenhagen surely! Prosit Pamela! The next act is Firelight with Coming Home. Probably many maltese people will not like me but somehow i didnt expect the song to make it, so prosit on that already. The performance is solid and welldone but still i dont see this as the winning entry that will represent Malta at the Eurovision Songcontest. Amber is again joined by composer and 1991 representative Paul Giordimaina who also composed the song and who i respect a lot as one of maltese best composers. Amber seems to be less stressed then last night and i must say she looks great performing this melodic tune. However i fear for Amber that she will have to wait to win the ticket to Eurovision. De Bee is one of the much rumoured for the victory. I’m so sorry but i dont get this at all. Don’t misunderstand me the performance is solid and the singer is doing a very good job but i still dont feel any chemistry. It still might win though, let the public and jury decide i would say. So we had all the songs now! The televoting has been opened and we have a recap of all the songs before we go to a long list of interval acts. 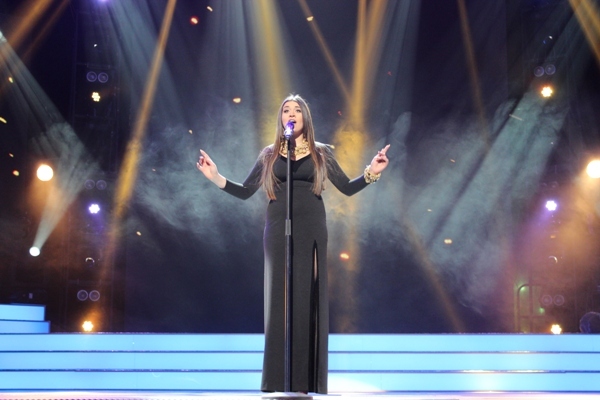 Ira Losco is starting the intervalacts and she proves that she is still an amazing artist and looking fabulous! When are you returning to Eurovision Ira? And we are off for another recap! Gianluccas is performing now with a new song along with his family, so it’s like the Bezzina group. Before some images were shown from last years festival. And they are off for more, this is sounding really nice! Of course Gianlucca's winning song from last year cannot be forgotten! The audience is cheering a lot! This is why i love the maltese public so much, they cherish their esc artists so much! Moira is now in the greenroom with all the finalists! Everyone seem to have a great time but surely nerves are very tensed! And off we go again with another performance of Ira again. She followed by a crazy act from Gorg u Pawlu who got fame with their 'Hot and famous' last year, well at least in malta. It looks very funny, but as this is a great show this is a strange act not really fitting in. But it's funny though! Next one on stage is one of Maltese most popular bands Wintermoods. Great vocals and strong songs i must say, respect! After Wintermoods we have the Swiss entry Sebalter on stage presenting their song for Eurovision. After that performance which doesnt give much of attention we are off to the winner of last years Eurovision Emelie de Forest who is presenting her new song Rainmaker, the theme of the 2014 Eurovision! She is joined by all contestants and it really sounds great! this is a new hit for Emelie i'm pretty sure! And off for another commercial break. Will we know the results soon? Let's cross fingers for it! We are off to the voting!! the russian judges gives 12 to Deborah C! So Firelight is the song for Malta. As i told i admit i was totally wrong here but stand my opinion. All the best of luck to malta though! In just one (1) week, the semi-final of the Malta Eurovision Song Contest will be taking place at the Malta Fairs and Conventions Centre under the hospice of the Public Broadcasting Services. Earlier this afternoon, it was officially confirmed that former representatives; Gianluca and Ira Losco as well as veteran host, Moira Delia will be undertaking the roles of hosts of this years’ prestigious competition being aired on Television Malta. 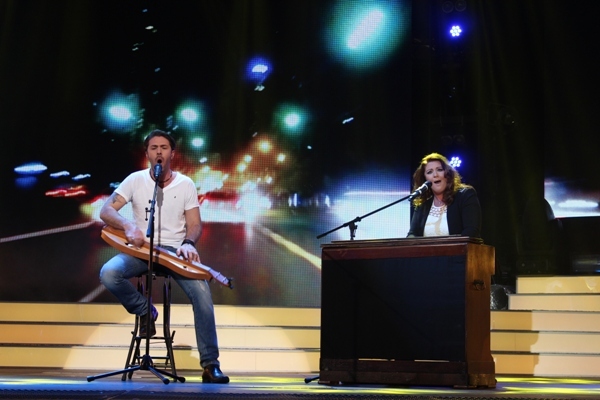 Prior to their appearance in the competition, they will be taking to the WE Studios later on this evening for one last promotional effort at Xarabank, hosted by Peppi Azzopardi. All of the artists competing in the semi-final in a weeks' time will be present for a series of chats, fact-finding missions and more entertainment which is very much reminiscent of a weekend show rather than a late night chat show. One of the artists will eventually follow in the footsteps of Gianluca and his entry Tomorrow co-written by Boris Cezek and Dean Muscat, which finished in eighth place, the best result for Malta at the international competition since 2005. Stay tuned to escflashmalta.com for all the latest news. In 2014, the Public Broadcasting Services, responsible for Malta’s participation in the Eurovision Song Contest decided to conduct a national final with just twenty (20) entries, rather than the typical twenty-four (24) which many had become accustomed to in recent years. Promotion is always vital, and escflashmalta.com has sent each entry to a professional panel of individuals in the music industry, who have in turn passed on their comments. This year, we have asked the likes of John Scott from the United States, Martin Isherwood from the United Kingdom, Sharon Vaughn from the United States but based in Sweden, Stano Simor from the Czech Republic and Greig Watts from the United Kingdom to do the honours. Today’s review is centred on Some Kind of Wonderful which has written by Wayne William who is also the vocalist. Wayne William, a male singer/songwriter who definitely knows the confines of the competition pretty well, having already been a part of the showcase on no less than six (6) occasions; Take Me Back Again (2003), It’s up to You (2005), Where You Belong (2009), Save a Life (2010), Everybody Sing (2011) and Time (2012). Despite not being a part of the competition as a vocalist in 2013, it is worth pointing out that he co-wrote two (2) entries; No One’s Home performed by Petra and Wonderful Today sung by Richard and Petra. It was an extremely busy couple of months for Wayne, following his marriage to Emily and also finalising his debut album The Parade, one which includes several new tracks as well as two which had been previously published and have now been re-mastered. In recent months, Wayne has adopted a stage name, rather than making use of his surname Micallef and having had a chat with the singer/songwriter, it made a lot of sense noting that the foreign audience was finding it extremely difficult to pronounce his surname. Whilst Wayne is an accomplished vocalist, his songwriting skills have yet to be tapped into with regards to other artists noting that he has only worked with his family members; Michelle Mifsud and Richard Edwards apart from Petra whom at the time of the competition was dating his brother and thus made logical sense to join the illustrious Micallef clan. Just a couple of weeks back, the editorial team at escflashmalta.com had the pleasure of reviewing The Parade which we urge you to purchase through iTunes as soon as possible. John Scott: The singer has a very nice voice. The song is decent, but not the most memorable. I also don’t like the way the singer pronounces the word “wonderful”. Martin Isherwood: Nice voice but nothing stand out. Interesting title and although deliberately vague in its use of 'some kind' it makes it hard to know what the song is about. Decent verse although the chorus doesn't jump out. Starts like an Oasis track mixed with Christian Rock. Competent but uninteresting, not really a Eurovision song. Sharon Vaughn: Nice song, good singer, but no chills and no sparkle dust. Stano Simor: Great radio friendly song. Wayne has a nice colour with good technique of the voice. Authors of the song have worked hard and wrote a song with a nice text and music. The band behind the singer makes a good atmosphere. Greig Watts: Seems like a nice building acoustic pop/country ballad, Performed well and builds nicely throughout, feels like a nice song, but not sure it’s strong enough to have a big impact in Eurovision. Nice but maybe Nice is not enough! On Friday 7th February 2014, the Public Broadcasting Services will be hosting the semi-final stage of this years’ edition of the Malta Eurovision Song Contest at the Malta Fairs and Conventions Centre and it was only just a couple of minutes ago that the official running order was published on the official portal of the broadcasting house. Should you wish to purchase tickets to this event, make sure to visit ooii.com.mt or tvm.com.mt/eurovision for more details. It is important to denote, that the opening and closing entries were drawn out of a globe in random order whilst the rest of the field was drawn in batches of three (3) or four (4) pertaining to which group they fell into with the producers of the competition selecting the best possible flow of the showcase. The system of the running order has somewhat been adapted to the one used in the international Eurovision Song Contest with the aim to gauge the interest of the public in mixing up different genres. The Public Broadcasting Services, responsible for Malta's participation in the Eurovision Song Contest has shown clear dedication to the programming of the event in recent years, noting a certain aura of professionalism, even with regards to a year-on-year improvement. The video clips this year, also include an introductory postcard, preceded by a list of sponsors who are covering the costs of the event. Special thanks goes to all personnel involved including; Anton Attard, Gordon Bonello, Rodney Gauci, Daniel D'Anastasi and Anna Dalli. Stay tuned to escflashmalta.com for all of the latest news. 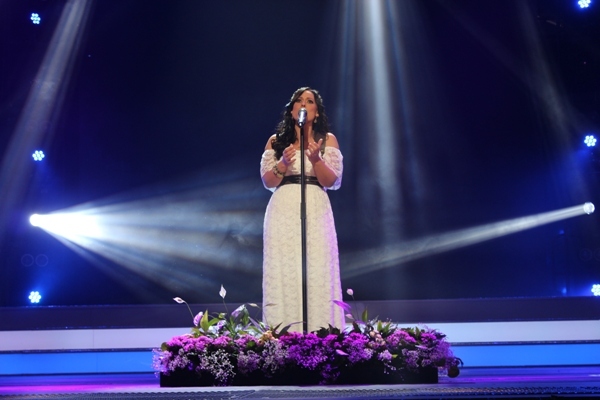 On the 29th November, the Public Broadcasting Services made public the names of the artists and their respective entries for the upcoming edition of the Malta Eurovision Song Contest, through the programme Xarabank, produced by WE Media. Since then, the artists have been really busy, with the recording of the postcards, and the clips, which have now been published and seen by thousands of people all over the world. Since then, each of the artists has undergone several technical recordings, in anticipation for the clips, which Nevertheless, as the competition draws closer, one will be able to note a series of interviews through all of the frequencies provided by the Public Broadcasting Services. escflashmalta.com has been in contact with one of the committee members behind this years' edition of the Malta Eurovision Song Contest, Gordon Bonello to see where the artists will be making their respective guest appearances. Whilst we won't be publishing the full schedule of artists, we are pleased to reveal that there are nine slot allocations for each entry, something which is brilliant considering that there is less than five (5) weeks remaining. On all occasions, the official audio file or preview video is played, and is most likely accompanied by an interview. The chosen programmes are as follows; Niskata hosted by Angela Agius, TVAM hosted by Norma Saliba, Pablo Micallef and Joe Mifsud, TVPM presented by Corazon; all on TVM as well as a series of radio programmes; including Carlo’s Breakfast Show on Magic FM, Mario Laus’ afternoon show on Radju Malta, Breakfast Show on Radju Malta, and Euromix by Frederick Zammit on Radju Malta 2. Finally, every day, prior to the six o’clock news bulletin, there will be a showing one of the entries competing in the competition, whilst prior to the eight o’clock news there will be the airing of the preview video along with a feature of someone different. This way, the Public Broadcasting Services will generate interest amongst the general public. No details with regards to the tickets, hosts or special guests have yet been given but we urge you to stay tuned to escflashmalta.com for all of the latest news as soon as it becomes available. In the meantime, the Official Reviews will be commencing this Friday morning, with our esteemed panel of critics ready to analyse this years’ crop of entries. Lastly, do not forget to submit your vote in the escflashmalta.com poll which is being organised in collaboration with ONE Radio 92.7. Wayne Micallef, now styled as Wayne William, following in the footsteps of his brother, Richard Edwards, first emerged in the local music scene as a solo artist back in 2009 during the Malta Eurovision Song Contest, where he had been granted a finalists’ slot with the track Where You Belong, a co-write with Luke Ambrogio. The male vocalist, whose timbre is very much existent has gone on record stating that whilst he enjoys the thrill of the competition, he aims to get his music across all borders and such an event has always been a stepping stone for those who make use of it in a correct manner. 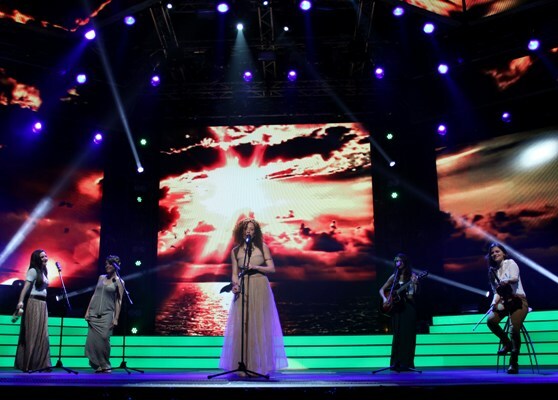 As often depicted, the life of an artist in Malta is seemingly unglamorous, due to the fact that there are no record labels supporting the artists, despite being extremely talented as seen with the success of Gaia Cauchi in the recent edition of the Junior Eurovision Song Contest, where she was crowned as the winner. Wayne William, who has just recently got married to an American, has decided to give it a shot and compile the work that he has been creating in recent years in a studio album, one that the fans would appreciate and hopefully purchase through digital store, iTunes. Upon its release onto the digital music circuit, escflashmalta.com had the pleasure of obtaining a copy in order to conduct a proper review, and indeed, it was a delight to listen to the album in full, especially for the simple reason that it is very much laid back in terms of vocals, whilst incorporating a professional production and mix, worthy of international recognition. A debut album could never be easy to release, for the simple reason that you have to make sure that you are devoted to your fans, whilst still possibly giving a fresh edge, possibly winning over new listeners and appealing more to the masses. 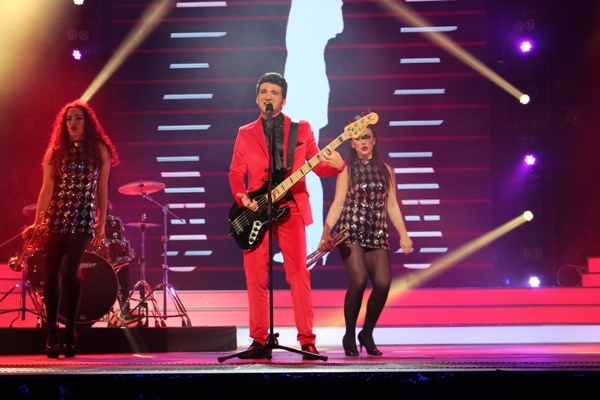 Wayne William’s background is predominantly based on the Malta Eurovision Song Contest and his four entries as a solo artist, along with another two entries as part of the family trio, known as The Mics. In his debut studio album, Wayne has carefully co-written all of the tracks, and thus the selection had to be done in an extremely careful manner, in order to have the right balance in genre, taste and quality. On his official website, which he has also just launched, he has gone onto thank his sister and brother, Michelle Mifsud and Daniel Micallef for backing vocals and guitars respectively, James Bartolo for co-writing some of the songs and Tony Polidano on the bass. The Parade - Honestly, I can understand why Wayne selected this song as the title track, because it does clearly stand out on its own, in a different genre from the others because it is more uplifting. There is a sound, which was somewhat amplified better in the seventies and made a comeback in the nineties through the song Torn by singer/songwriter Natalie Imbruglia. This is also one of the tracks in which Wayne is almost making use of his full vocal capabilities, altering between head and chest voice relatively easily. I found this track to be particularly pleasing because it did change the vibe of the whole collection whilst still remaining true to the devotees. Tonight – I was relatively sceptic in selecting this song, due to the fact that the piano is very much in similar vein to the last track which is being presented but nevertheless, the focus here is rather on the lyrics than the music because there is so much emotion, that one could hear it seeping in through the music. Wayne William is known to have an emotive character on stage and I can very much picture him performing this against a black backdrop, on a grand piano with tears falling down his face. I would have kept it even simpler but I cannot say that the drums and guitars were too much of a distraction. Time - If an artist would like to win me over quickly is by using a grand piano, or at least, making sure that the sound is pretty similar and that is where, Wayne William has managed to strike a chord with me. 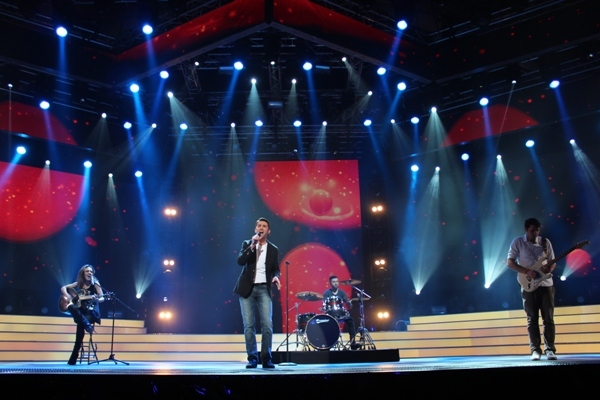 The eleventh and final track on the album has already been presented to the public at the 2012 edition of the Malta Eurovision Song Contest, managing a trip to the final, where it was greatly underappreciated and finished in twelfth place with ten points, all from the professional jury. The vocal range is ideal, and the merge with the music and the slight addition of backing vocals make it a timeless classic, and one of Wayne’s career highlights. In listening to this first studio effort, I kept an objective view on the music, the lyrics and their prowess combined and all in all, I must say, this is a brilliant first album and there is no way to go about it. In a way, having listened to the whole eleven tracks in full, I find myself a tad disappointed about the choice of the first single, Don’t Fade Away which in my opinion is just an album track, especially in comparison to at least, about five songs which I would have clearly selected as other singles. Still, I am very much picking on titbits in order to make sure that I do not create a perfect view of this record which I do recommend you buy, especially if you’re in the mood of some relaxing music. It has been expected for quite some time, and indeed, the Public Broadcasting Services have just published the official music videos accompanying the entries in next years' edition of the Malta Eurovision Song Contest. It is well worth noting that the videos were recorded last Sunday, at WE Media Studios in Qormi, and that the production team should be well regarded for being quick on their feet in publishing them so quickly, in less than a week. Next years’ edition of the Malta Eurovision Song Contest is set to take place at the Malta Fairs and Conventions Centre on the 6th and 7th February and seems to comprise of several genres, with ballads being the most predominant, something which is to be expected from Malta, a country known for sending that type of genre to the international showcase. It is well worth noting that for the first time in years, the Mediterranean Island managed a top ten placing with Tomorrow co-written by Boris Cezek and Dean Muscat with vocals provided by Gianluca. On Sunday, the Public Broadcasting Services was busy recording the preview videos for the entries competing in next years’ edition of the Malta Eurovision Song Contest with a promotional campaign set to kick-off as soon as they are published onto the world wide web. Nevertheless, most of the artists competing in the local showcase have already been taking to several forms of social media in order to keep the general public updated with opinions, personal insights and past experiences amongst other things. escflashmalta.com has quickly rounded up relevant social media accounts for everyone to follow in the weeks leading up to the competition and beyond. The preview videos for each of the songs are expected over the next couple of days, with next week being the latest date, and therefore, it is pivotal to make sure that everyone is gearing up to promote their entry in the best possible way throughout the Christmas period. escflashmalta.com in collaboration with the Public Broadcasting Services will be then publishing a list of programmes where the artists will be appearing on throughout the next couple of weeks. Just a swift reminder that as a portal, we will be indeed carrying out a set of critical outlooks on each of the entries with our panel of professional personnel including; Sharon Vaughn, Lina Eriksson, Greig Watts, John Scott and Martin Isherwood. At this years' edition of the Eurovision Song Contest, Gianluca was selected to represent Malta with the track Tomorrow co-written by Boris Cezek and Dean Muscat, finishing in eighth place. It will be quite an intriguing element to see who will follow the success achieved by the singing doctor, especially after also managing to succeed at this years' Junior Eurovision Song Contest where Gaia Cauchi was the victor. The 2014 edition of the Malta Eurovision Song Contest will take place on the 7th and 8th February at the Malta Fairs and Conventions Centre. Stay tuned to escflashmalta.com for all of the latest news.